The stall that is serving vada pav from the past 35 years. Celebrities like Madhuri Dixit, Jackie Shroff, Sonu Nigam and Sushmita Sen, have all visited this place and have eaten. The reason they sell their vada pav for 20 rupees is because they don’t re use the oil for frying again. 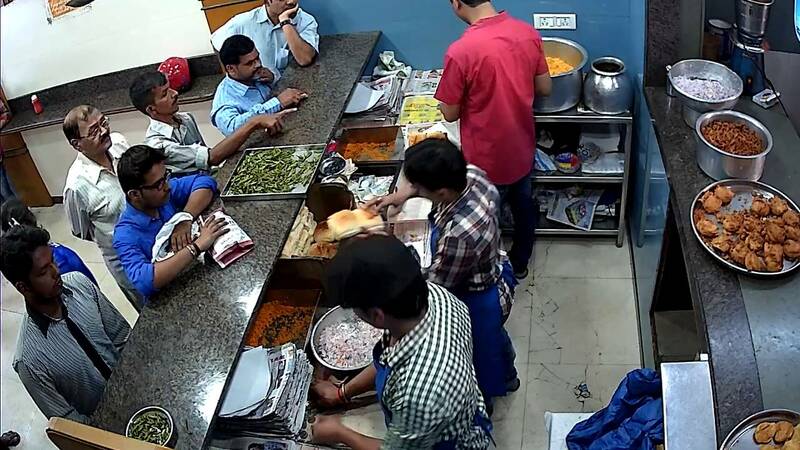 This famous joint is besides Kirti College, Prabhadevi. It is also at a walk able distance from Dadar station. 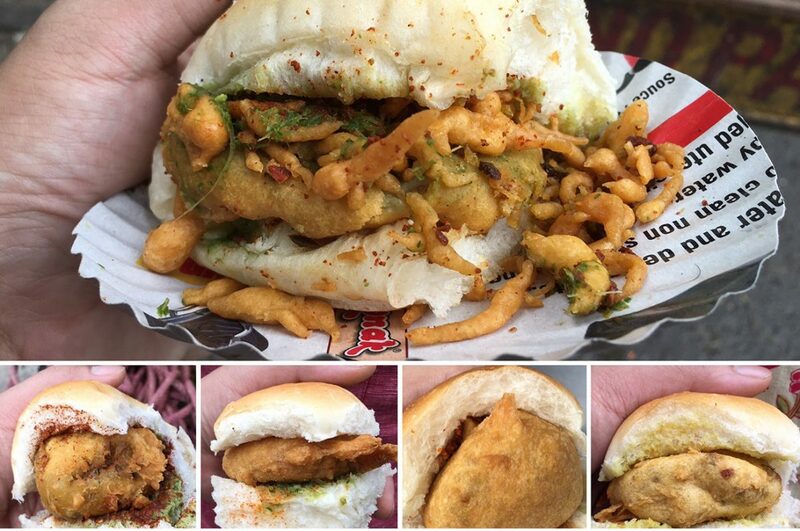 Graduate Vada Pav is in this business since 17 years. Their aim is to feed all the fast paced Mumbaikars. It is located just outside Byculla station on the east and besides Regal Bakery. Anand Vada Pav is located opposite Mithibai college. 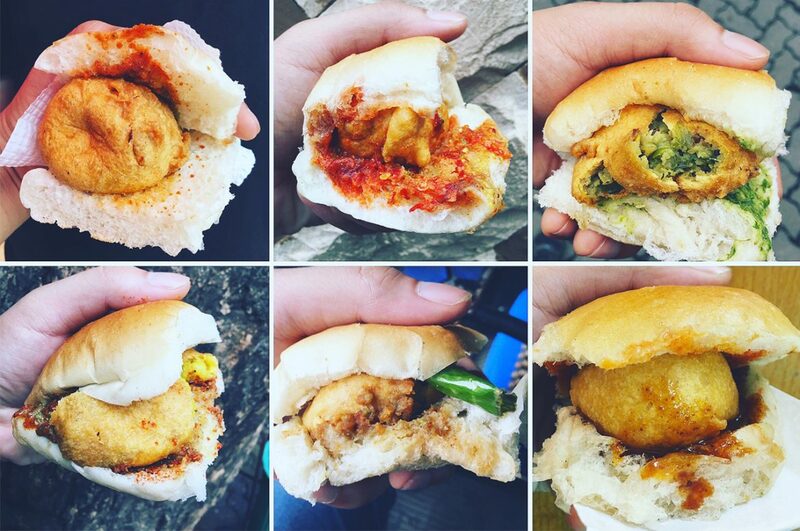 One can get down at Vile Parle station on the west to reach this vada pav joint. Samrat Vada Pav is situated in Parleshwar in Vile Parle east. They serve amazing mix plate bhajiyas and also have coconut in their vada pav stuffing. A joint that is at least 35 years old. The vada pav joint is also famous for its sandwiches. It is located outside Mithibai College in Vile Parle West. A competitor to Anand Vada Pav Stall. Kunj Vihar restaurant serves quite a bit of food other than the legendary Wada pav. Also equally famous and delicious is the Misal Pav and the thick Lassi. Of course, the Samosa, Bhajji, etc are also quite good, but nothing beats the Wada Pav, Missal and Lassi. A must visit place. 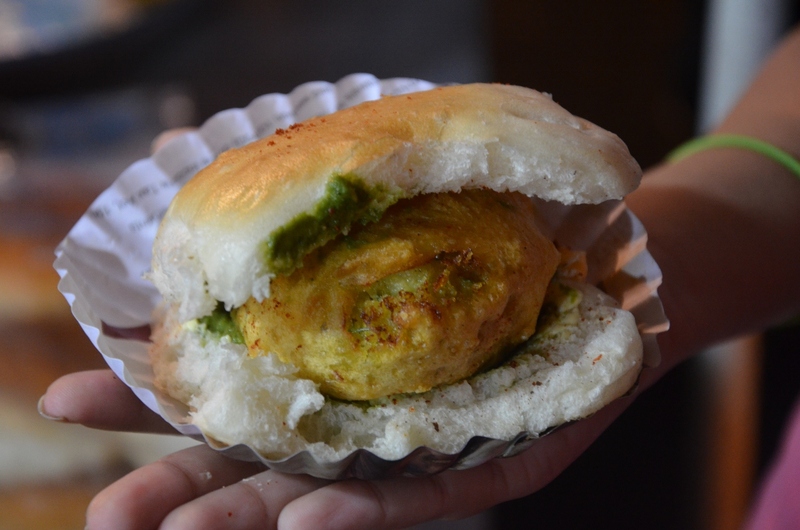 The vada pav joint is famous in girgaum chawpatty for its lip smacking vada pav. Changu Mangu Vadapav is a Very famous place in Dahisar east. Near Ravidra hotel, or Dahisar police station. You can enjoy WadaPav, WadaUsal, UsalPav, MisalPav here. All dishes are very tasty. So when in Dahisar definitely try this place. Lamxan Vadapav aka Laxman Om vadapav is a Very famous vadapav joint in gordia nagar Ghatkopar east. Near Ravidra hotel, or Dahisar police station.